A Highway Secondary School dormitory has caught fire. 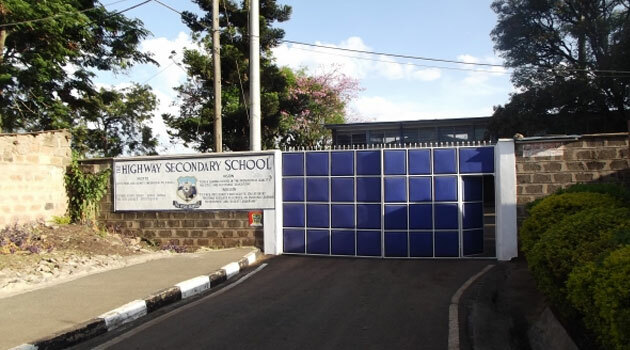 At least 31 students have been rushed to Kenyatta National Hospital (KNH) where they are reportedly being checked for soft tissue injuries and smoke inhalation. The cause of fire, is still unknown but has been contained. “We’d have loved to know. If only the administration could tell us that they’ve resolved the issue and our children were fine, we’d be okay. Keeping us in the dark is not right,” a parent at the scene of incident said. This comes at a time when school fires have been rampant with students getting arrested. On Friday, another Nairobi school was razed down following a 9 am fire. A dormitory at Uhuru Secondary School went up in flames but no injuries reported.